Seattle, WA is a seaport city that has about 730,000 residents. It is the largest city in the state of Washington and the fastest growing major city in the nation. It has become a center for technology over the years. The city is number one when it comes to the green economy and government policies regarding sustainability. Due to this, Seattle has earned the moniker “Smarter City”. The government is sure that Seattle will become the first city that is “climate neutral”. This means that Seattle will product zero greenhouse gases by the year 2030. The port of Seattle is a major access point for trade. 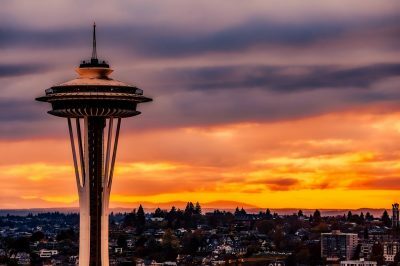 Whether you are visiting Seattle to visit their 24-day film festival or the largest Ferris wheel or the Space Needle, we can assist with transporting your automobile. A whopping 41-hour drive awaits you should you decide to drive yourself from Baltimore to Seattle. When you look at all the resources and time you would spend traveling this distance by car, you can not help but wonder if it’s worth it. However, if you choose our very reliable car shipping service, you are doing yourself a favor by saving resources, time, and energy. Our team will professionally deliver your vehicle. Therefore, all that you have to do is pack your bags and enjoy your trip. Because we offer door-to-door shipping, your vehicle can be delivered straight to your door. During the process of delivery, your vehicle is under full insurance. We ship all types of vehicles to all 50 states, including Hawaii and Alaska. Request a free Baltimore Car Transport quote today by going online to our website and filling out a short form.